We should be absolutely clear in our minds why racism in the caste-ridden societies of South Asia can be expected to have an altogether peculiar virulence. Otherwise we cannot grasp why the ethnic problem in Sri Lanka is so recalcitrant to solution that it threatens even to become an eternal imbroglio. South Asian racism has its roots in Hinduism and Buddhism: both enjoin belief in rebirth and in the theory of karma according to which one’s station in this life is determined by right and wrong action in past lives. Inequality and the hierarchical ordering of society in terms of caste are therefore given a religious or transcendental legitimation. It has to be expected that in such societies the drive to regard the Other as inferior or dangerous or both can be overpowering. The writer has pointed out that ethnic conflicts in the world are very rare but they have been commonplace and spectacular in South Asia, citing as instances the butchering of over a million during the Partition, Sri Lanka’s racist civil war in which a hundred thousand have died and there is no prospect of a solution, and the breakup of Pakistan due to the inability of the West Pakistanis to accept political primacy being given to the East Pakistan “junglies”. The record shows that racism in South Asia has been far more lethal and destructive than in any other comparable region of the world. The writer will now point to the significance of the prevalence and power of the neo-Fascist ideology of Hindutva in present-day India. The present writer holds that as originally formulated by Savarkar in 1923 Hindutva was not a neo-Fascist ideology because it postulated an inclusive Indic identity, inclusive of the Muslims also: after all the present writer is himself postulating an Indic commonality behind racism in South Asia. But there has for long been an ambiguity about Hindutva because after the formation of the RSS as its political incarnation it came to stand for Hindu dominance. We see the ambiguity today in Prime Minister Modi: he wants to be true to the original noble vision of an inclusive Hindutva but his appointments to high office show a preference for rabid anti-Muslim racists. In practice today therefore Hindutva in action is kith and kin to the populist neo-Fascist movements that are pullulating in several parts of the globe. The difference is that they are newfangled movements whereas the Hindutva movement has flourished in India since the second half of the ‘seventies. The important point is that a neo-Fascist ideology has been very powerful in India as nowhere else in the world since the Second World War. That cannot be accidental. Hindutva should be seen as part of the syndrome – originating in Hinduism and Buddhism – that has led to virulent racism in South Asia. The basic drive is to see the Other as inferior or dangerous or both. The writer will now make some observations on Tamil casteist racism, taking as illustrative material Tamil Islamophobic attacks on him. Some years ago he started publishing weekly articles in the Island which a little later came to be published simultaneously in the Colombo Telegraph. Initially the responses from Tamil readers, including from Fr. S.J Emmanuel of the Global Tamil Forum, were totally positive and an expatriate magazine in Canada published a couple of the articles in Tamil translation. 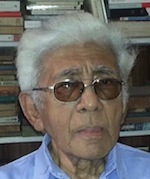 All that was not in the least surprising as over the decades the writer had acquired a solid reputation as someone who was extremely sympathetic to the Tamils and extremely hostile to Sinhalese racism, of which he himself had been a spectacular victim from 1977 to 1994. That reputation was established through a great many articles published in the Lanka Guardian, the Island, a weekly column for two years in the Tamil-owned Weekend Express, and also through participation in many seminars and public meetings. It is worth mentioning that the TNA leader Mr. Sampanthan told the writer that he not only read his articles in the Weekend Express but cut out and kept copies of them. Suddenly, and to practically everyone’s surprise, attacks on the articles started to appear in the Colombo Telegraph. It was not a case of this or that article being found wanting over errors of fact or argument. Every article was subjected to withering dismissive attack by seven to ten persons. The message being conveyed was clearly that Editors should reject anything and everything from this writer. They were clearly concerted attacks that went on for several weeks, subsided for a brief while, resumed again in full force for several more weeks and then stopped altogether. The attacks were possibly concerted by the rump LTTE. Thereafter however unconcerted attacks by two, three, or more persons against practically every article by this writer have continued to this day. Quite early on after the attacks began, this writer noticed some peculiar features about them. Practically all of them were by persons using nom de plumes that declared a Tamil identity. The attacks were usually characterized by what this writer came to call “hysterical hatred and mad dog rage”. 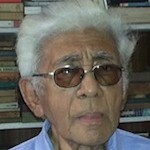 The attacks were mainly on the ground that this writer had been notorious for decades for his rabid anti-Tamil racism. That charge suffices by itself to show how utterly mad the Tamil casteist racists can be. This writer has written more than one article refuting that charge in detail and will therefore mention here just one detail. It is that in decades of writing on the ethnic problem he has never even once applied the term “terrorist” to the LTTE because he has steadfastly held that relentless State terrorism from 1977 to 1983 left the Tamils with no alternative but to take to arms, and therefore the LTTE should be regarded as the expression of a national liberation movement though it was of a retrograde tribalist order. According to established convention writers in the Colombo Telegraph don’t reply to attacks against them except occasionally to correct errors of fact. This writer followed that convention. But he noticed after some time that the attacks against him were unique. Practically every article by a well-known Sinhalese writer provoked attacks of a very vicious sort. As an intellectual, a writer, and political analyst he is quite exceptional and for that reason alone his writings can be expected to provoke a terrible hatred. In addition he is a political activist who sides with this or that politician or this or that political party, and that of course can be expected to draw flak in ample measure. But the attacks against him have never been racist and have had nothing like the hysterical hatred and mad dog rage characterizing the attacks against the present writer. What was on display was Tamil racism, a contributory factor to the ethnic imbroglio that has not been recognized by Westerners who tend to see the imbroglio only in terms of Sinhalese racism. It seemed to the writer therefore that he should respond to the attacks as that would build up a solid body of material exposing Tamil racism. That was done, and some time ago therefore the writer desisted from making any further responses to attacks. The attacks themselves diminished greatly in number. But they have revived vigorously in recent weeks, showing the same hatred and rage as before. The reason is that the writer had the temerity to announce that he intended writing a series on the arts, on literature, films etc. The Tamil reaction to that can only be explained in term of a caste mentality that assigns to the Muslims a very lowly place in society, something akin to that of the Sakkilis whose main function was to clean toilets. A Tamil wrote that he found it utterly absurd that the present writer should want to write on the arts, the same Tamil who earlier wrote that the Muslims are multiplying “like piglets” and who sees nothing wrong in imaging Muslim children as “piglets”. Another Tamil wrote that the Muslims are multiplying “like rats”. He has been bellowing for many long months that the Muslims are really low caste Tamils – he has sometimes been explicit that they are the products of intermarriage with the Sakkilis. The writer leaves it to the interested reader to turn to the CT archives for further details showing the depth of Tamil Islamophobic hatred and rage. The main reason why the Tamils insist on a solution only through devolution is their caste mentality. They are satisfied with fair and equal treatment in the West and elsewhere without any devolution at all, but not here. The reason is that the caste mentality dictates that they be the equals of the Sinhalese or superior to them in Sri Lanka. The Sinhalese are also cursed with the caste mentality. Consequently it is difficult to believe that devolution with the emphasis on identity and ethnic difference can ever lead to a political solution. That solution can come only through a fully functioning democracy with adequate safeguards for legitimate minority interests. The campaign against devolution should not be left o the extremists.